Are your teeth stained, chipped, or not aligned? Veneers are a good treatment option to consider because they look like natural teeth and don't require a major procedure. 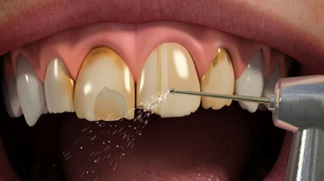 A veneer is a very thin, tooth-coloured piece of porcelain (like a false finger nail) that is bonded on top of your own tooth. Based on your needs, we can adjust the shape of your veneers to make your teeth overall look longer and/or closer together. 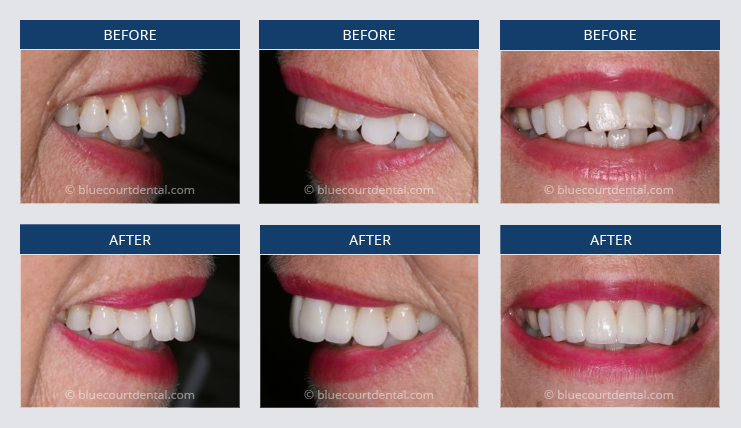 You can have just one veneer or a whole set, known as a smile makeover. 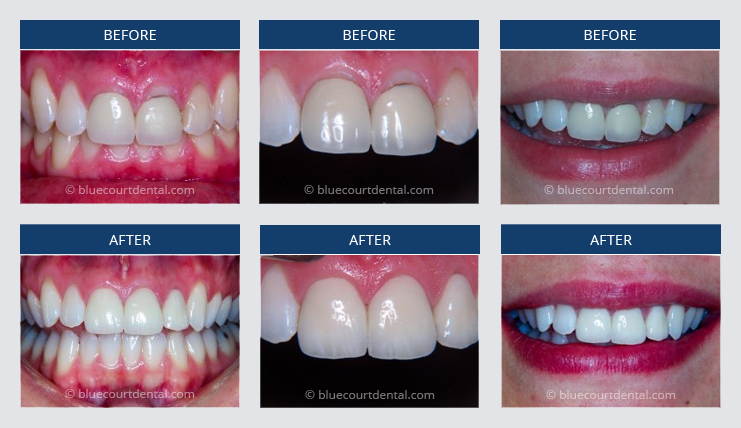 For a single stained tooth we can also match the precise shade of porcelain to give it a lighter appearance compatible with the surrounding teeth. 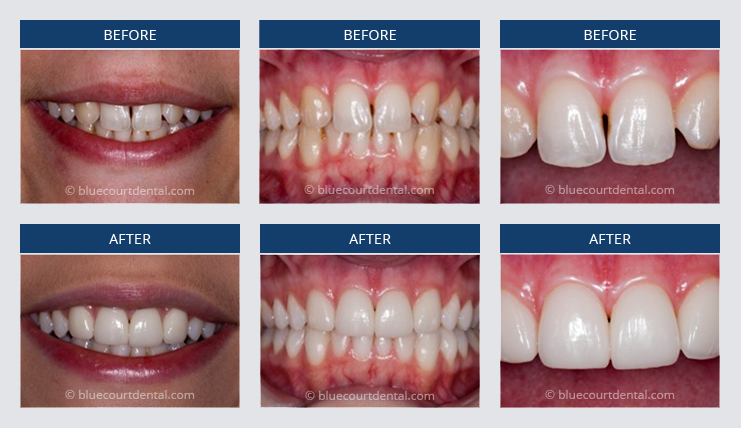 Veneers can also be used to close small gaps, when braces are not suitable. If one tooth is slightly out of position, a veneer can sometimes be fitted to bring it into line with the others. "From Now to Wow with Cosmetic Dentistry"
The costs and lowest price alternatives. Your options and choices for treatment. 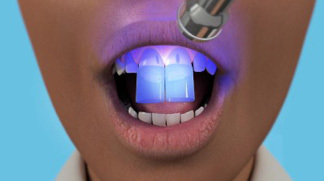 What are your options to whiten teeth? I have been coming to Nishan for many years now, but it was not until recently that I wanted to improve my smile. I had an important event approaching and looking my best was important. He devised a plan for me which involved replacing my old deterioting crowns and veneers to new better fitting ones. My old silver fillings were replaced with new white ones and it has made such a big difference. My smile now looks good and feels great and it has given me so much confidence that I cannot stop smiling. Nishan made me feel very comfortable before and during the treatment. He spent a lot of time and effort making sure that everything was perfect, from the shape of my teeth to the size and colour. I am extremely happy with my new smile and the comments that I has received has boosted my confidence even further. It is so nice to be able to trust someone and know that you are in expert hands.